Eemian (Aka Alejandro Remeseiro, Konsumprodukt) is the result of an investigation on ambient music. This investigation parts from a sentence that Alejandro read. Te text talked about an ambient music release and the author described the hearing experience as if "you can't dance this music, it's like sitting on a Glacier and waiting to se how it melts down". So Eemian is this, is an abstract approach on how a glacier should sound like. Moreover, the album has always direct references to those nature phenomena, all tracks are named referencing famous glaciers over the world. Finally the sound of Eemian is a properly crafted collection of textures and drones that smoothly are evolving through time. Remeseiro uses a reduced palette of sonorities even though the depth and structure of the pieces is kept producing an uneasy sensation that time isn't passing by. Finally we are proud to join a work like that to our catalogue because this si the kind of sound we like and the kind of relationships between landscape and sound that we like to defend and promote. A homage to Glaciers, a homage to the magnitude of nature and a beautiful drone experience. All tracks arranged and produced by Alejandro Remeseiro. The image used on the artwork is taken from wikipedia. Uploaded at wikicommons by Schellack. It's an image taken from Hintertux Glaciar, Austria. 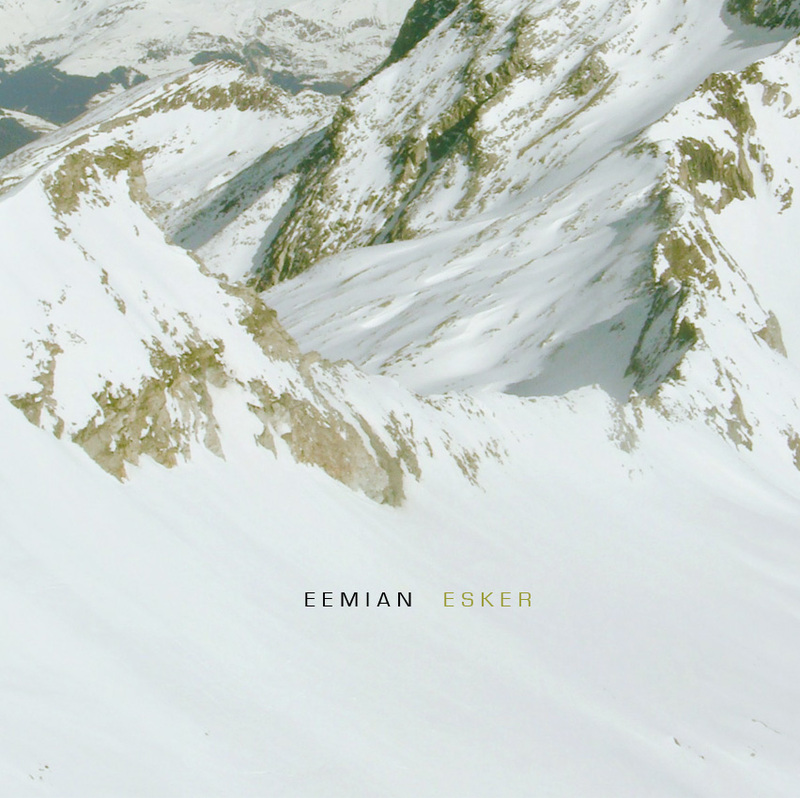 Esker by Eemian is licensed under a Creative Commons Reconocimiento-NoComercial-CompartirIgual 3.0 Unported License.